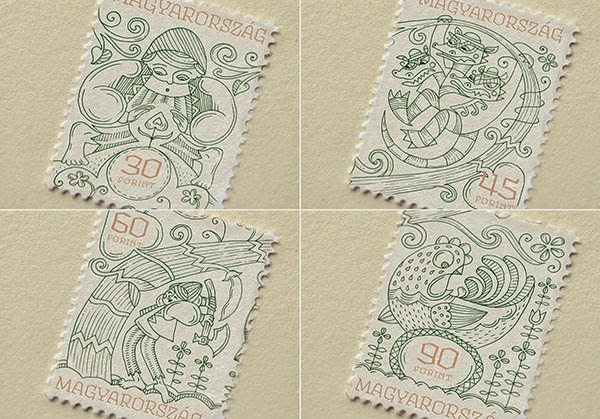 Stamp design by Hungary-based graphic designer and illustrator Boglárka Nádi inspired by Hungarian folktales. 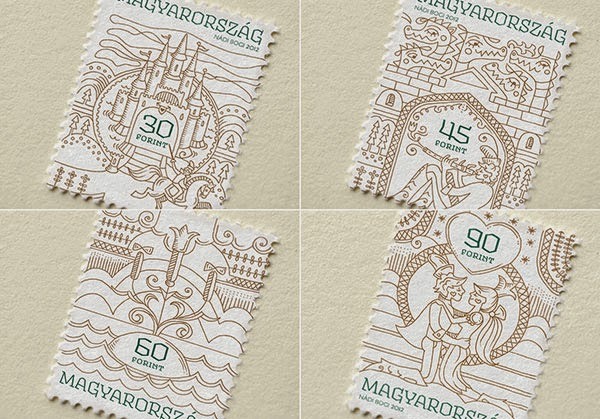 Nádi decided to take on this project for her final thesis as she found it exciting to "delve into the specifics, traditions and the more than one-and-a-half-century-long-history of this genre." 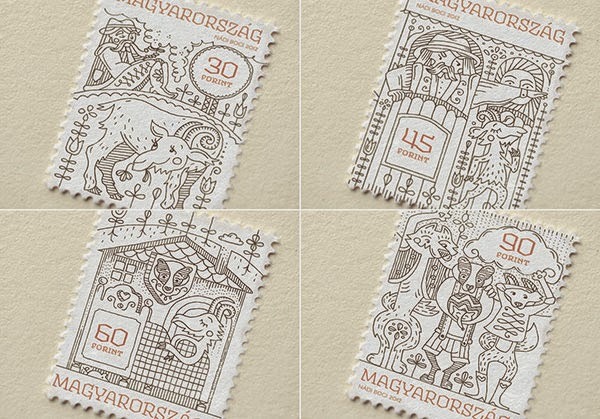 The designs are based on seven folktales well-known to Hungarians: the small gömböc, the haricot reaching the heavens, the little pigs and the wolf, the half-skinned goat, the salt, the star-eyed shepherd, and the beautiful slender damsel. 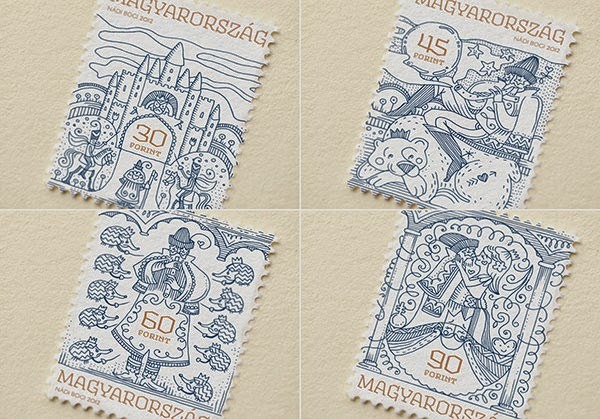 In order to create something original and novel, I had to take into account all the stamps that have been issued throughout the world. 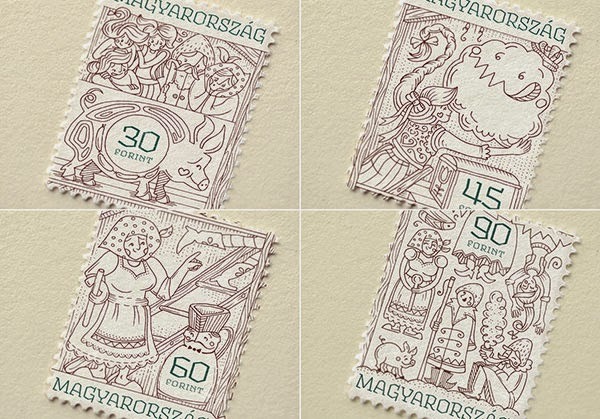 The world of the folktales are close to my heart and I noticed that there were some stamps made with this kind of theme, however there were no series made with an emphasis on just Hungarian folktales. 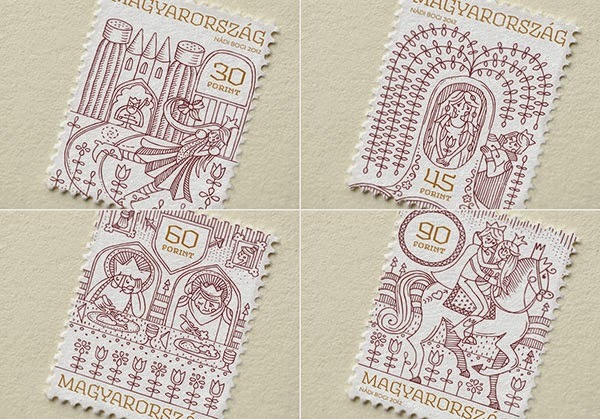 This good news made me quite happy, because I wouldn’t have considered making this self-serving work and hoped to please a wide range of audience. 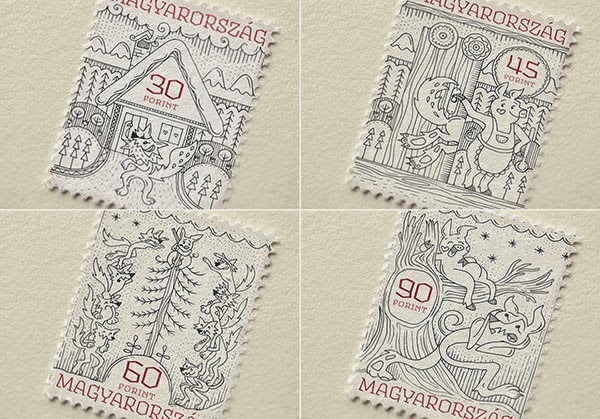 I may be an optimist, but I think there are only a few people who are not delighted by these wonderful stories.